While Disney’s Pirates of the Caribbean movies have obviously taken the majority of their inspiration from the Disney Parks rides of the same name, as well as the actual history of pirates in America, they’ve also taken an oddly significant amount from the world of rock and roll. One member of the Rolling Stones was a major influence on the franchise, and now, the newest film in the series is looking to The Beatles for another new character. Sir Paul McCartney has apparently joined the cast of Pirates of the Caribbean: Dead Men Tell No Tales. According to Deadline, a new major action set piece for Pirates of the Caribbean: Dead Men Tell No Tales is currently being shot, and former Beatles bassist Sir Paul McCartney is at the center of it. There’s no information about exactly what the scene entails or what character McCartney will be playing. What is clear is that this is a new scene that’s just now being added to the film, not a reshoot of an existing sequence. The movie has already done the majority of its filming, and isn’t scheduled for release until of May of 2017, so they have plenty of time to fine tune the film. Sir Paul McCartney is not the first big name in the history of rock and roll to play a part in a Pirates of the Caribbean movie. It’s a rather well known story by now that when Johnny Depp was creating his character of Captain Jack Sparrow, he took a great deal of inspiration from the mannerisms and speech patterns of Rolling Stones guitarist Keith Richards. When it came time to cast the father of Captain Jack in the films, it only made sense to cast Richards in the role. While Keith Richards played roles in two of the Pirates of the Caribbean films, his scenes mostly involved him sitting in one place and making slurred comments to his son. Setting up an action sequence around Paul McCartney sounds like a very different thing. We don’t expect the aging rocker to be swinging on ropes across pirate ships, but then again, Harrison Ford is the same age and he’s going to make another Indiana Jones movie so we shouldn’t discount the man’s ability based strictly on age. 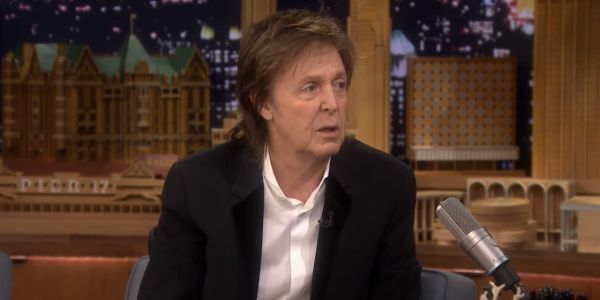 If McCartney is going to play a bloodthirsty pirate in a massive fight scene we’re all for it. Pirates of the Caribbean: Dead Men Tell No Tales will star Johnny Depp and will also mark the return of Orlando Bloom to the series as Will Turner. The story will reportedly focus on Captain Jack Sparrow’s search for Poseidon's trident, Javier Bardem will also be on the hunt for it as the new villain Captain Salazar.